Apple Certified, we specialize in iPhone, iPad, iPod, MacBook Pro, MacBook ,Macbook Air. Cracked screen repair, water damsge, software, hardware. 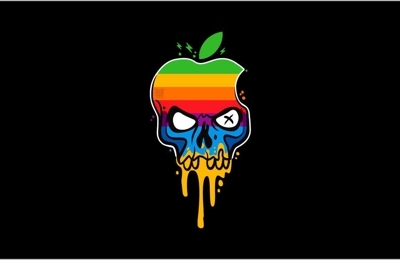 We Only Fix Apple iPhone, iPod, iPad, MacBook Pro, MacBook Air, anything Apple. This place is the best they fixed me iPhone 6 Plus with the touch disease it’s now working like new again with a 1 yr warranty live this place the best compared to everyone else ! I received above & beyond customer service with Mario. He is professional & very knowledgeable. I had a very unique situation with an iPad and he made every effort to make sure that my iPad was given back to me in the best condition. He even went the extra mile and contacted outside resources to help in the endeavor to help with the situation. You will not go wrong taking your equipment to Mario. He is an amazing and caring person that wants to make sure that his work is done correctly and customers are satisfied. Thank you, Mario! the best in el paso texas hands down. no one comes close. offer great customer service and top notch parts. He is extremely professional and knowledgeable. He fixed my phone right in front of me, on the same day I called and I didn't have to wait 5 or 6 hours like I have at other places. I highly recommend him!!! Amazing service! Fixed my phone with a lot of damage at a great price. 100% recommend! The best in EP! Do not look further for someone who kills it with any kind of cell repairs. He is honest and professional. You will not be disappointed. The most legit repair service in the region WITH true Apple certifications and experience. 100% satisfied. Excellent service. Very friendly and easy to find. My iPhone was twisted really bad and they fixed it , with no problems thanks . Iphone express its really professional! They know exactly what's the issue, they tell you the truth! Wonderful service and quick! I totally recommend to repair your iphone with them! iPhone Xpress is Amazing! They are very knowledgeable, professional and Certified by Apple! Each time I've gone to IPhone Xpress I was never disappointed! They deliver awesome customer service and make sure you know what's goin on! Take your Apple product to Mario! You won't be disappointed! Mario, thank you so much for all your help! 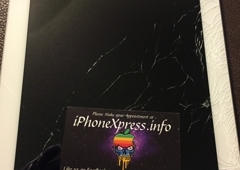 To anyone choosing to get your phone fixed with iPhone Xpress, you're in good hands! I previously stated how he was very helpful, well I would like to add on how Mario followed up on my situation with the previous person I took my phone with. The previous person instead of fixing my phone, stole parts from it which I had to later pay out of pocket to replace. Mario was kind enough to help me settle something with the previous person I did business with. Aside from doing a good job on fixing my phone, and knowing what he was doing, I am grateful to have trusted my phone repair to iPhone Xpress. The fact that Mario was willing to help me out showed a whole lot about his character and integrity to go out of his way to keep customer satisfaction and went the extra mile after business was already done. Thank you so much Mario you're a great person and El Paso needs more trustworthy and honest people like you running businesses! Best customer service I've experienced! Previously had my phone being "fixed" for a month, ended up phone less, no refund, and with missing parts, plus was given a useless cracked screen that initially wasn't cracked. Mario fixed my phone in less than 10 minutes and was extremely helpful and knowledgable of the previous "work" done to my phone and was able to fix it without a problem. Thank you so much!